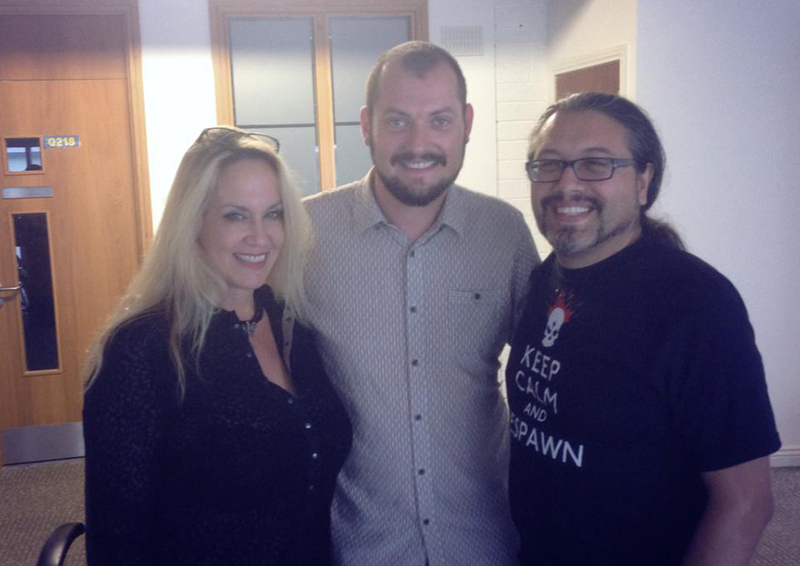 A few weeks ago in August, myself and Alan Duggan from Tribal City Games, were invited to Dublin to speak with John (“Wolfenstien 3D”, “Doom” & “Quake”) & Brenda Romero (“Wizardry”, “Dungeons & Dragons”, “Train” & Program Director at the University of California at Santa Cruz). The meeting was part of John & Brenda’s fact finding mission on games development and education in Ireland for the Fullbright Commission. We had a fantastic talk with them for two hours, which flew past as if it were only 30 minutes. While I was expecting to be star struck when I met them, as they are two giants in our industry, we were completely disarmed by how genuine and down to earth they were. John & Brenda were very open with us, and took a look at some of the demos (Cellular & Aporkalypse Now) Alan & I are working on together. They liked our games quite a bit and gave us some great feedback on how to improve them. Some of the tips were small, some where huge, but each one sent us off in new and intriguing directions of design which will help create better gaming experiences in the end. Despite the short conversation we had, we left feeling positively inspired. Brenda, who it has to be said is very generous with her time, had already been speaking online with my good buddy Christopher Colston of Pulse College Galway a few days earlier, and had agreed to visit Galway (the small city we live in on the West Coast of Ireland) while she and John were passing through on the 23rd of September. While she spoke with Alan and I in Dublin, she and John offered to do a Q&A for the local dev community while they were here, which is an opportunity we grabbed with both hands. Ireland rarely has such high profile game developers visiting, and nowhere is as starved as the West Coast. 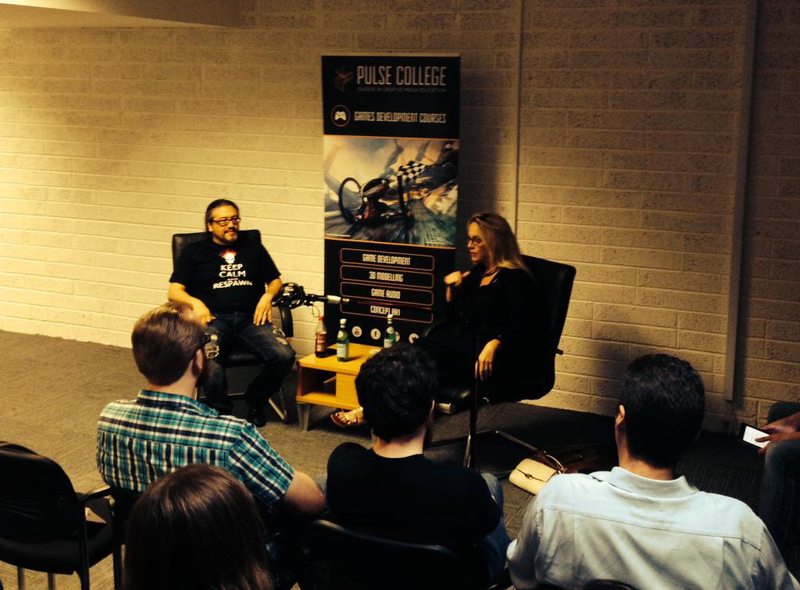 Chris and I began advertising the event immediately after I got back to Galway, and Pulse College kindly agreed to host the talk for us in their Galway campus. We expected only a small handful of devs and students to sign up for the event, as we’re thin on the ground out west, but interest quickly snowballed, unearthing a lot more people interested in game development than we were previously aware of. In total almost 100 people signed up for the Q&A. The event was held yesterday afternoon at 1pm and over 70 people attended (we were happy for the shortfall as space was tight in the room we had booked). The audience was comprised of both industry professionals and students alike. Tom Lyons, a reporter from the Irish times, turned up on the day, too. I acted as MC, introducing John and Brenda and taking questions from the crowd, which was more than a little nerve racking. The packed room of attendees asked interesting questions and received even more than interesting answers from the two speakers. The hour and a half talk flew passed, as is the norm when speaking with John & Brenda. They blew our minds with their insights and opinions on the past and future of the games industry. They complemented the amount of community we have around game development in Ireland and how rare and beneficial that is for us, which I think came as a surprise to many of the audience, myself included. You can read Tom Lyon’s more detailed Irish Times article on the Q&A over at the Irish Times. When the talk was over, John and Brenda were swamped with people wanting to have their photo taken with them, which they generously agreed to, and even took the time to give an interview to local gaming news site, Hit Start Now. It was a great afternoon which was all too short. After the event, John and Brenda hit the road for Letterkenny IT to resume their scheduled talks for the Fullbright Commission. We thank them greatly for taking the time to visit. It was a one off event here in the West, but one that won’t be forgotten before long. The Q&A event was also a fantastic tent-pole moment for Galway’s Game Dev scene, allowing us to meet a lot more people than we could ever have expected. We grabbed the chance to take names for a mailing list, which will hopefully bolster our numbers for all future dev social gatherings and Game Jams. 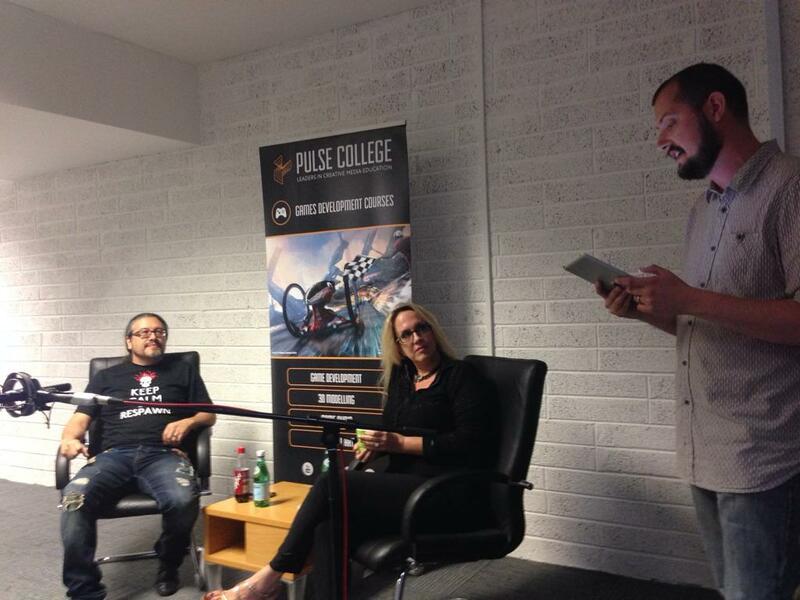 Pulse College should also be uploading a video of the talk in the coming days for anyone who didn’t get to attend. It’ll be well worth watching if you missed out. I’d like to thank Niall O’Reilly & Ben Bates from the extended DoomCube.com team, and Shane Marks (independent game dev and beard specialist) for giving Chris and I help on the day.